There’s just something about comfort food that always gets me excited to eat. Give me some mac n’ cheese, tuna casserole or a grilled cheese sandwich and I am good to go. Can you tell that I love dairy? Hanukkah, which is traditionally celebrated with oily and cheesy foods, really is the perfect holiday for me! On Hanukkah we eat foods fried in oil to symbolize the oil that lasted eight days when the Maccabees rededicated the Holy Temple in Jerusalem after their victory over the Greeks. The dairy is to celebrate Judith’s victory when she saved her village from the Babylonians. Basically, she served the General of the Babylonian army a basket of wine and salty cheese (the salt made him thirsty and got him very drunk). When he passed out, she beheaded him and scared away his army. It’s a bit graphic but definitely worth celebrating! So now let’s get back to my comfort food, which really does tie in to Hanukkah beautifully. 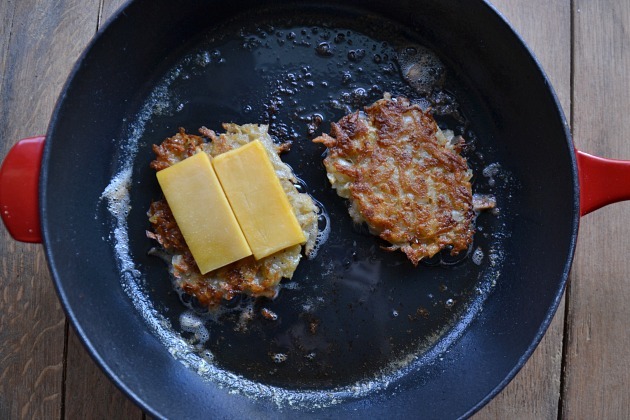 I decided that what this holiday really needed was a crispy latke fried in oil then sandwiched together with cheese. Sounds good, right?!? Jewish-American comfort food taken to the max. 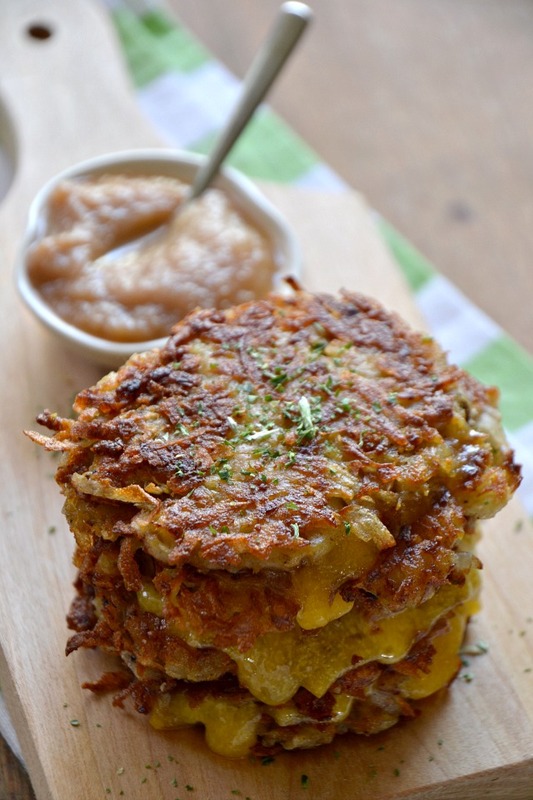 Once the latkes have drained, it’s time to eat!